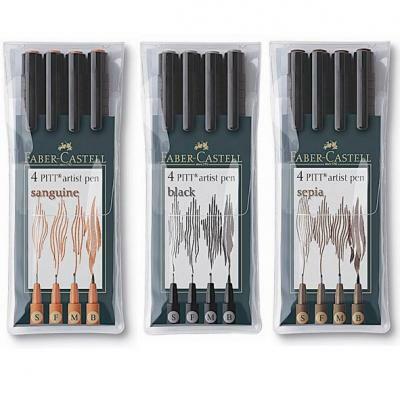 PITT artist fineliner pens are available in 4 different nib sizes for producing fine, medium or broad lines. They even allow you to bring out finest details. 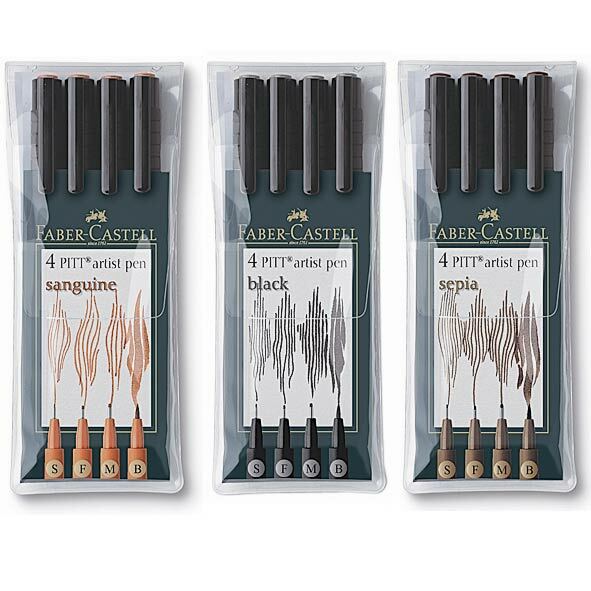 These wallets contain one of each size nib S, F and M and brush. The wallets are available in 3 colours sepia, sanguine and black.